The life of Henry Wileman does not appear to be well documented, but after considerable research, mainly by Helene Elder and Glyn Green, we now know a few facts. Henry Wileman was born in c.1798 and died at the age of 66 on the 19th of August 1864. He founded the pottery works at Church Gresley, some 35 miles south-east of Fenton, in the early 1800's. In 1853 he joined John King Knight, the then sole proprietor of The Foley Potteries in Fenton, as a partner in the business. 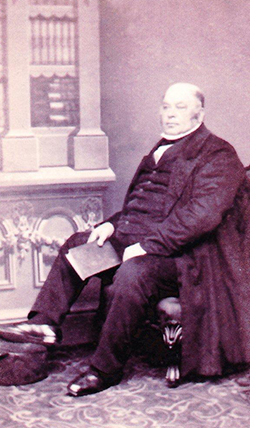 Knight retired in 1856 and Henry became sole proprietor, trading under his own name, however he retained his interest in the Church Gresley pottery until his death in 1864. In 1860 he built The Foley China Works alongside his existing Foley Potteries. He married Ann Ludford and together they had seven children between 1822 and 1837. Two of these children were Charles John b.1832 and James Frederick b.1834, who took over the business when their father died in 1864.